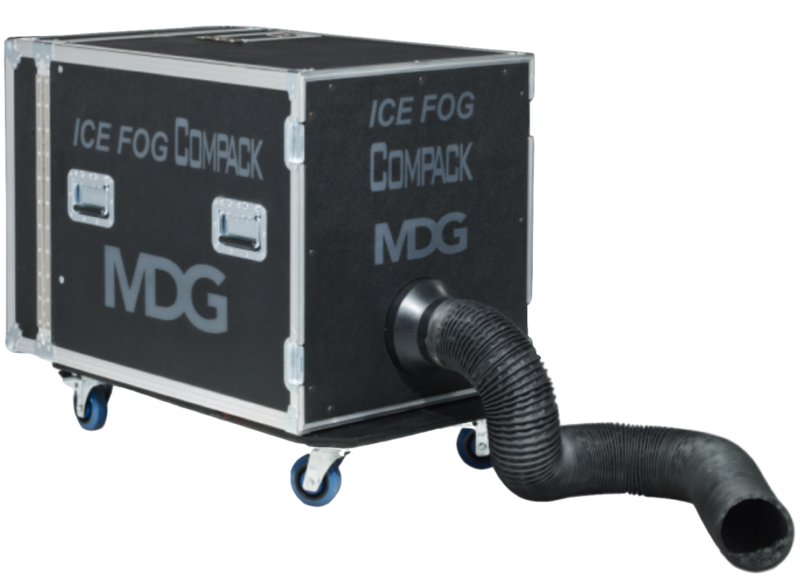 Our ICE FOG Compack creates a thick low-lying fog with zero residue without the use of dry ice. This generator produces a very dry and dense low-lying fog using liquid carbon dioxide (High Pressure L-CO2 bottle with dip tube or siphon) as a coolant and propellant as well as the MDG Low Fog Fluid. The ICE FOG Compack was designed with safety and reliability in mind. Capable of generating pure white low fog for as long as you want (100% duty cycle) at full volume.